On October 1st, 1960, the people of Nigeria claimed their independence from British rule. Officially known as the Federal Republic of Nigeria, this coastal country is located on the Western side of Africa. 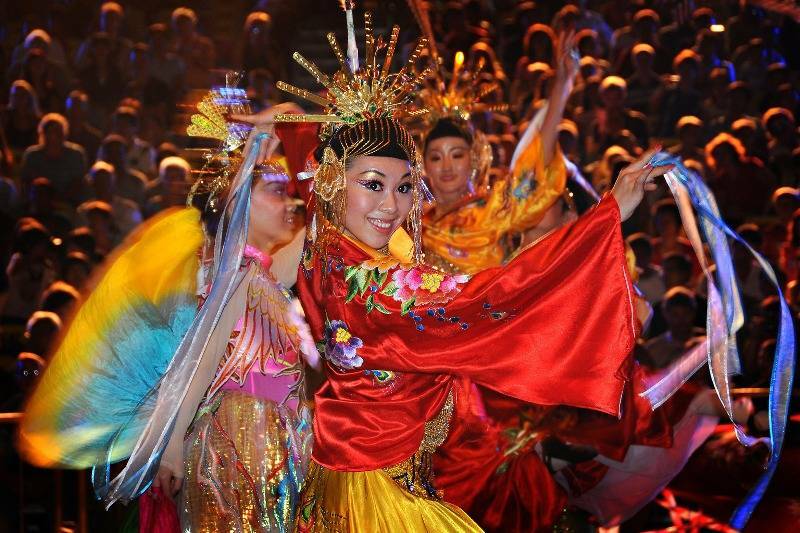 With a population of over 179 million people, this country boasts a rich and celebrated culture and beautiful landscape. The average life expectancy in Nigeria is 55 years of age, one of the lowest life expectancies around the world. This is due partly to the fact that access to quality health care is limited, especially in rural areas. Another contributing factor is the lack of sanitation throughout the country. It is estimated that nearly 57 percent of the population does not have access to clean drinking water and over 130 million people are lacking proper sanitation facilities when going to the bathroom. Since Nigeria is the most densely populated country in Africa, and their population continues to grow, something needs to be done soon to improve the living conditions and sanitation issues to improve the quality of life for all of the country’s inhabitants. Water and Sanitation Issues – Every year nearly 54,000 children under the age of 5 die from diarrhea due to waterborne illnesses caused by poor sanitation facilities and a limited access to clean drinking water. This lack of available water poses a large challenge in other ways as well. Many women and children spend the majority of their time travelling long distances to collect water for their family. Often, hours a day are spent walking to fetch this water, time that could be spent earning a living, managing a farm or going to school and getting an education. Influenza – Nigeria is ranked as being the country with the 4th highest incidence of influenza in the world. With proper medical care and hydration, influenza is easily treatable however in a country that is lacking in medical care and clean water, the death rates from this virus continue to rise each year. Violence – Throughout its history, Nigeria has had many instances of unrest and violence, leading to the death of many of its people. Today Nigeria faces threats from its diamond mining and oil industries and from religious conflict between the christians and muslims. The muslim extremist group Boko Haram has been responsible for thousands of brutal deaths over the past few years and the number continue to increase. LiveMD would like to celebrate with Nigeria today and wishes everyone a very happy Independence Day! LiveMD’s primary goal is to assist in further expanding the accessibility of healthcare to people all over the world. If you would like medical assistance or have questions that you need answered, LiveMD’s licensed doctors are always available to talk to you by phone, text, or video, 24 hours a day, 7 days a week. Visit www.mylivemd.com today. 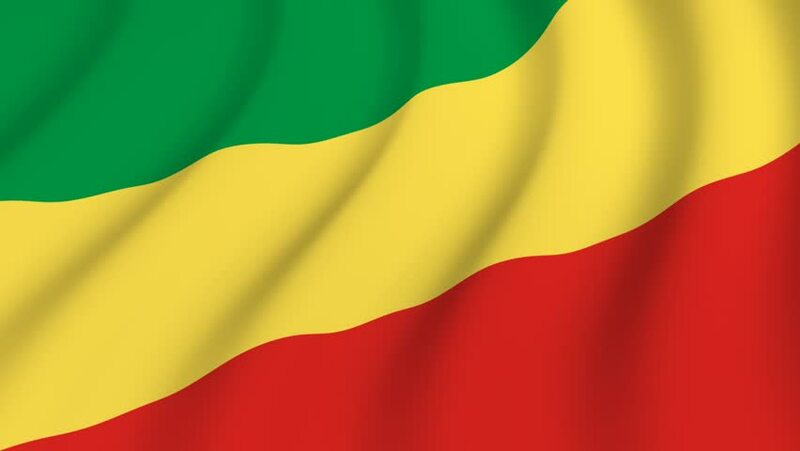 The Republic of The Congo Celebrates Today! Today we wish everyone in The Republic of The Congo a very Happy Independence Day! The Republic of The Congo is a country located in Central Africa. On August 15th, 1960, they gained their independence from France. They are a predominantly French speaking country with a population of close to 5 million people. With a strong petroleum industry, this country has gained some economic stability, however many still suffer from large gaps in income distribution. Education is considered very important in this country and attendance at school is compulsory for children between the ages of 6 and 16. There are universities throughout the country offering medical and doctor training in an attempt to increase the amount of healthcare workers throughout the country. Currently there are only 20 doctors to service every 100,000 people, meaning that many people are not receiving the medical attention that they need. Many of the inhabitants of this country live in rural areas where there is a lack of easily accessible health care facilities. HIV and AIDS is a common problem in The Republic of The Congo. Recent estimates state that the prevalence of this disease is 2.8 percent of the population. HIV and AIDS cause a large drain on the healthcare system, causing numerous illnesses and other infections and leaving so many children orphaned. Malaria is rampant in the Congo. It poses one of the highest risks to the health of this country’s inhabitants. Children are among the most affected by Malaria and estimates show that 1 in 5 deaths are caused from this disease. Foreign aid is trying to reduce the effect that this disease has by providing mosquito nets and repellent-sprayed clothing. This waterborne disease is very common in the Congo. It is caused by worms that are ingested through contaminated water sources and can cause severe abdominal pain and diarrhea, blood in the stool and blood in the urine. It can be very dangerous for those who have been infected for a long time and may lead to liver or kidney damage or other long-term complications. After 56 years, today LiveMD would like to wish the the Republic of The Congo and all of its people, a very happy Independence Day. LiveMD can help provide access to doctors all around the world. A phone call, text message or click of a mouse is all that it takes to get in touch with a medical professional that can help you with your health care problem right away. Visit www.mylivemd.com for more details. On this day, in 1945, South Korea gained its independence from Japan. This relatively small country has a population of over 50 million people and is Asia’s most developed country. With a high importance placed on education and literacy, the inhabitants of this country have made great strides in technological discoveries and advancements. They were the first country to make the switch to high-speed internet and are the home to many major global corporations such as Samsung and LG. With an average life expectancy of 81 years of age, all of the South Korean people have access to a universal healthcare system which is ranked among the top 10 in the entire world. The hospital facilities in this country are among the world’s finest, containing the most advanced medical technology and treatment methods. It is estimated that there are over 9 hospital beds available for every thousand people which far exceeds statistics for other developed countries. Overall the South Korean people are considered one of the healthiest groups of people worldwide. There is a very low incidence of obesity in this country which results in a lowered incidence of heart disease and other metabolic diseases. South Korea also has one of the lowest AIDS infection rates and boasts an exceptionally high immunization rate. 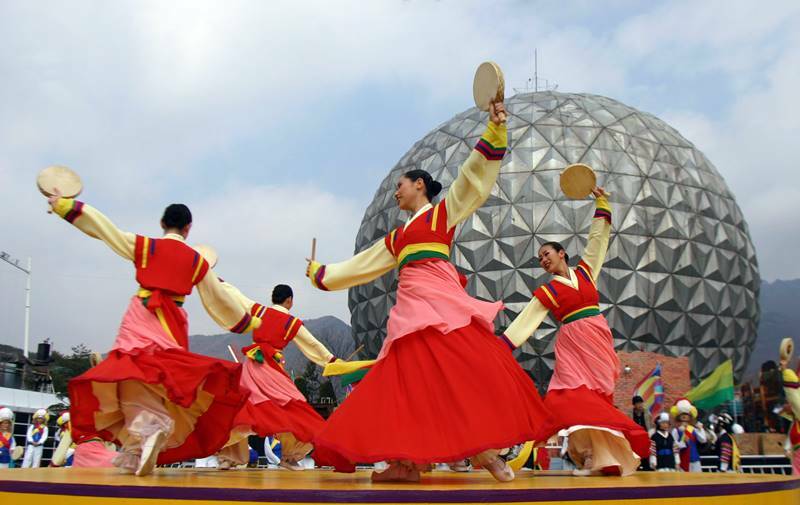 South Korea is currently experiencing a rapid growth of their population over the age of 65. It is expected that by the year 2050 the senior population will have grown to over 38%. This aging population will put a higher demand on the healthcare system and create a need for more assisted care and long-term care facilities. South Korea has a very good system for taking care of their sick, unfortunately very little is being done to prevent people from becoming ill. Preventative treatments are more costly to the healthcare system and therefore the majority of doctors focus their care on treating the problem instead of trying to prevent future illnesses. Common in the springtime, this illness is caused by a fine yellow dust that blows into the country from the neighbouring Mongolian desert. This fine, powdery substance looks similar to pollen and if inhaled can cause severe throat and lung irritations and can be dangerous to those already suffering from respiratory problems. Wearing a facemask is highly recommended when outside in these conditions. South Korea has become one of the leaders in the world in terms of development, technological advancement and exceptional health care initiatives. On this day we would like to wish you a very happy Independence day. On August 15th LiveMD extends a heartfelt “Happy Independence Day” to India and all of its people. 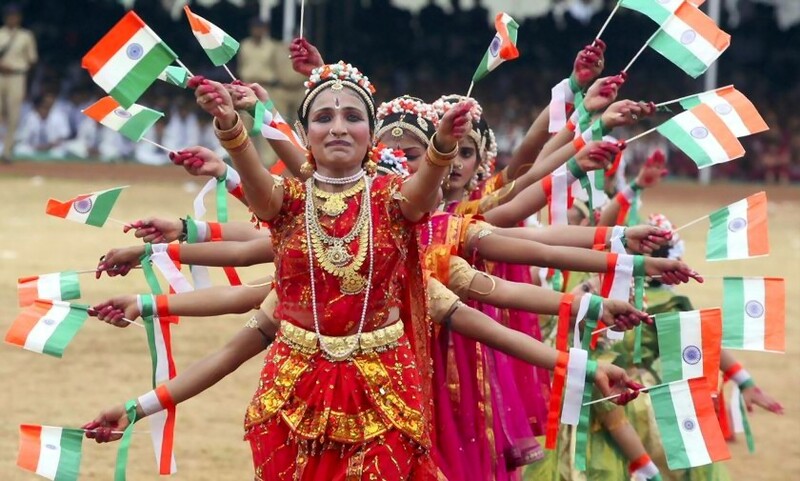 On August 15th, India will commemorate 70 years of independence. It was on this day, in 1947 that they became an independent nation after many years of British rule. Throughout the country many festivities will be held on this day. India is a large country with a population of 1.3 billion people. Of these people it is estimated that close to 24% live below the poverty line and exist on only $1.25 or less per day. The majority of healthcare in this country is provided by the private sector, meaning that people must pay for the care that they receive. For the poor, receiving good healthcare remains a large challenge due to this reason. Another factor contributing to the lack of available care is over half of India’s population lives in rural areas while only 2% of doctors work in these areas. In an attempt to rectify this situation, the Indian government has implemented a rural health program, sending over a million healthcare staff, made up of both volunteers and paid members, to service these areas. The level of care provided at urban, private hospitals is exceptional, meaning that those who can afford to receive care, are getting some of the best treatment available in the world. These private facilities house some of the most experienced and best trained doctors in the world. Malnutrition is a very big problem in India, affecting a huge percent of the population. Recent estimates show that 1 out of every 3 malnourished children in the world live in India and over 60% of Indian children under the age of 3 suffer from malnutrition. 50% of children are considered underweight and this lack of nutritious food and low body weight can eventually lead to other health issues such as stunted growth and development, anemia and a weakened immune system. Each year in India, it is estimated that nearly 1.7 million children will die before reaching their first birthday. This high rate of infant mortality is due to such factors as insufficient pre and post-natal care and low vaccination rates. Many households in India do not have toilets and it is estimated that over 30% of people do not have any access to bathroom facilities. This fact results in nearly 50% of the entire population in India defecating in open areas. Feces that is not disposed of properly will attract bacteria and parasites and can lead to the spread of disease. Throughout recent years, India has made many changes in an attempt to better the lives of their people. Due to the very high population of this country, growth and advancement is slow but steps are being made to move in the right direction and positive changes can be seen. On this day, we would like to wish all of the people of India a very happy Independence Day! If you or someone you love is need of medical care and access to a doctor is difficult, please visit our website today at www.mylivemd.com . We have doctors available from all over the world, speaking every different language, that can help you with all of your health care concerns. Don’t hesitate, get the care that you deserve today. LiveMD would like to celebrate along with all of the people of Singapore today and wishes each and every one of them a very happy Independence Day! On August 9th, 1965, Singapore received full independence from Malaysia. This tiny island country is located just off the coast of Malaysia and boasts of a unique and diverse culture. Since its independence, Singapore has made great advancements in improving the lives of its people and enhancing the entire country as a whole. It has become a role model for other asian countries to emulate themselves after. With an average life expectancy of 85 years of age, Singapore rates in the top 5 of all countries across the globe. This is due to the fact that there is a high standard of living throughout the country and a high education and literacy rate as well. Singapore has a strong medical system with many hospitals, research facilities, trained personnel and offers easy access to care for the vast majority of the country’s inhabitants. The primary causes of death throughout the country are non-communicable diseases such as cancer, heart disease, diabetes and stroke. The primary cause of these diseases can be linked back to poor lifestyle choices such as obesity, smoking and drinking. The main health concerns that affect the people of Singapore are lifestyle diseases. Cancer, diabetes, obesity, heart disease, and stroke are the most common illnesses suffered here and are often caused by either genetic disposition or lifestyle choices. These diseases can be better managed by leading a healthy, active lifestyle, making good food choices, quitting smoking and reducing alcohol consumption. Communicable illnesses have been well managed in this country and do not pose a large threat to the Singaporese people. This condition inhibits people from being able to see distant objects clearly and the people of Singapore have one of the highest prevalence of this condition worldwide. It is estimated that close to 30% of children have this condition and it is made worse by activities involving computers or small handheld devices. This inherited blood disorder is very common among the people of Singapore and is the most frequently diagnosed genetic disorder. 1 in 20 people in this country are affected by this condition which can cause anemia and may require frequent blood transfusions and medical interventions. After 51 years of independence, LiveMD would like to commend the people of Singapore on the fantastic job that they have done in setting a global standard for countries all around the world to strive towards. Happy Independence Day Singapore! If you have medical questions or require the assistance of a trained healthcare professional, LiveMD is here to help. Our trained medical staff can have you back in good health in no time and all it takes is the click of a mouse. Visit our website at www.mylivemd.com and get started today. Today LiveMD wishes all of the people in the Ivory Coast a very happy Independence Day! On August 7th, 1960, the Ivory Coast became an independent nation from their previous French rule. This coastal country is located in West Africa and borders the Gulf of Guinea in the Atlantic Ocean. 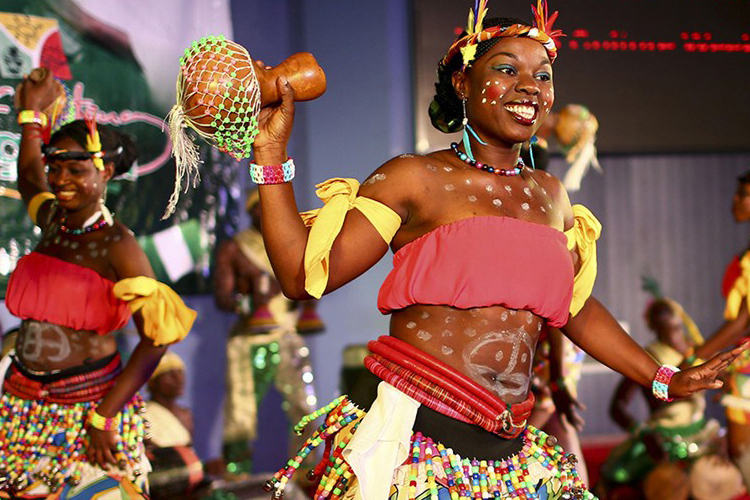 Due to its close and long history with France, the primary language spoken in the Ivory Coast is French. This country has a large export industry and is a huge producer of goods such as coffee and cocoa. 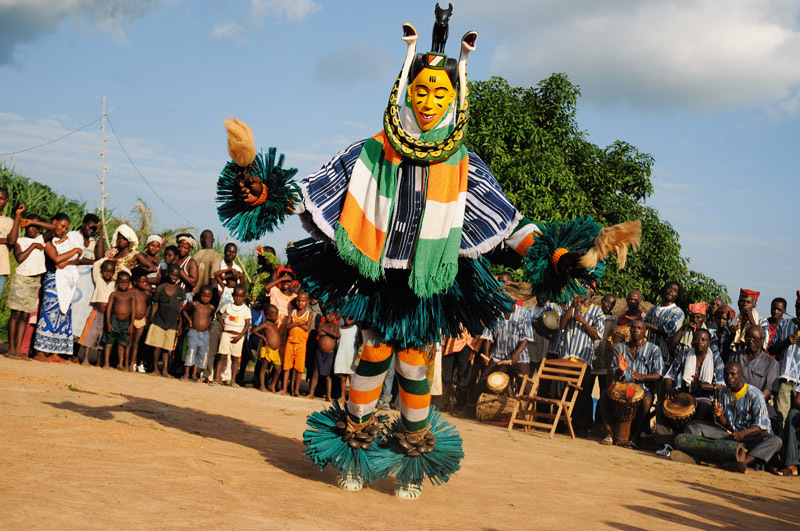 On this day throughout the country, the Ivorian people celebrate with festivities, feasting, parades and dancing. After gaining their independence, the Ivory Coast began to develop a strong healthcare system with many hospitals and facilities to care for the people. Unfortunately, in 2002, a civil war in this country brought a halt to advancement and many of the healthcare provider, most of whom were European, fled the country. This has resulted in a severe shortage of doctors and nurses causing many to turn to traditional healers instead. After the civil conflict was resolved the government implemented a free health care system but this has placed too high of a demand on the already overworked practitioners who remain so presently only mothers and children under the age of 6 qualify for this free care. Poverty is a large concern for the people of the Ivory Coast and it is estimated that one quarter of the population lives on only $1.25 a day. This results in issues of malnutrition and stunted growth in children. In recent years the prevalence of new cases of HIV and AIDS infections has been steadily declining. There is still a high incidence of this disease throughout the country however with an estimated 390,000 people living with either HIV or AIDS. Educational programs have made a big difference in informing people on how to protect themselves and stop the spread of this disease and the increase in use of antiretroviral drugs has increased the quality of life and lifespan for those suffering with it. Malaria is very common in the Ivory Coast and each year there is an estimated 2 million cases of infection. Malaria is the main cause for doctor visits and hospitalizations in this country and it is not unusual for a child to experience an episode of malaria 1 to 6 times every year. Tuberculosis is a serious respiratory disease and it is very common in the Ivory Coast. Recent statistics show 36,000 new cases and 4,600 deaths from this disease in a one year time span. Although the prevalence of this disease is declining it still poses a large threat to the people of the Ivory Coast and their health. On August 7th, LiveMD would like to extend a sincere “Happy Independence Day” to the people of the Ivory Coast. Our goal is to provide easily accessible, quality healthcare services to people from around the world who are in need of care. If you have questions about your health or are in need of advice, please visit our website today at www.mylivemd.com. August 6th is Bolivia’s Independence Day. 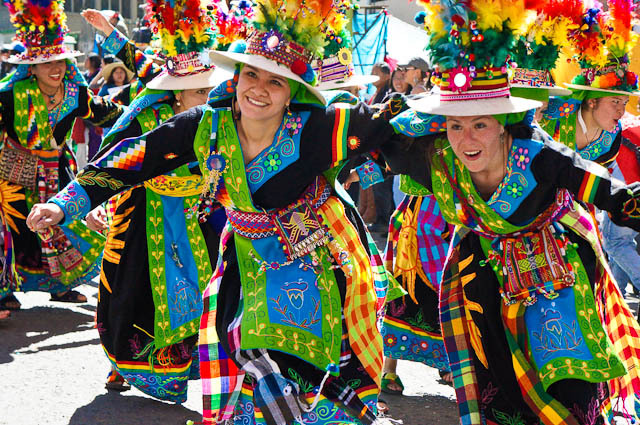 In 1825 Bolivia first gained its independence from the Spanish and have remained an independent nation ever since. This country is located in South America and is officially known as the Plurinational State of Bolivia. 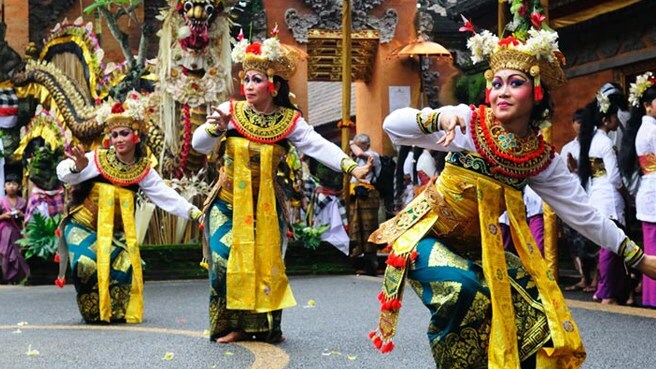 On this day, celebration will be held across the country including parades, marches, feasting, carnivals, dancing and music, all reflecting the rich culture and heritage that this country has to offer. Bolivia is considered a developing country and has a poverty rate of approximately 53%, meaning that over half of the entire country’s population is living below the poverty line. The majority of these people are living in the rural areas of the country. There are close to 11 million inhabitants in this country and their average life expectancy is 67 years of age. There is estimated to be only 1 doctor to service every 2,000 people and the availability of easily accessible healthcare facilities is scarce outside of the urban city centers. Despite the high poverty rate in this country, a very high percentage of Bolivia’s population has attended school, with enrollment rates of over 90% and a high literacy rate of 95%. The rate of malnutrition is very high in Bolivia. Access to good, nutritious food is scarce and due to this fact, much of the population is malnourished. This is the primary cause for the high maternal, infant and child mortality rates in this country. Chagas disease is an infectious disease caused by a bug commonly known as the “kissing bug”. This disease can cause flu-like symptoms and can also lead to swelling and inflammation of the internal organs. It is estimated that nearly 700,000 people in Bolivia are living with Chagas disease. This tropical disease is caused by the bite of tiny sand flies and is very common in Bolivia. Sores on the skin will break out anywhere from weeks to months after being bitten and can cause severe skin infections. These sores can take a long time and be very difficult to heal and may result in scarring. In some cases this disease can affect the spleen and liver and can be fatal. Malaria, yellow fever and other mosquito borne illnesses are very common in Bolivia. The warm, tropical climate of this country makes it a prime breeding ground for mosquitos and therefore transmission rates of these diseases is very high. Rural regions are most heavily affected. On this day, LiveMD is pleased to wish Bolivia 191 years of independence! Do you find it difficult to meet with your local doctors? Are the wait times to see a specialist too long? At LiveMD we believe that everyone deserves quick, convenient and quality health care, right when they need it. No wait times, no line ups and no lengthy trips to the clinic. All it takes is the click of a mouse and you can be speaking live with a qualified doctor right away. Visit www.myliveMD.com and be on your way to better health in no time. Today, on August 6th, Jamaica will be celebrating 54 years of independence. Located in the Caribbean, Jamaica is an island nation that ended its British rule in 1962 and gained its independence. This country has a population of 2.7 million people and with its hot, tropical climate and beautiful beaches, it is a prime tourist location for people from all around the world. Over the past 20 years there has been a significant shift in the health and wellbeing of the people of Jamaica. The average life expectancy is 77 years of age and there is a steady decline in the frequency and severity of communicable diseases in the country. As Jamaica advances and poverty decreases, there is an increase in the number of people suffering from noncommunicable disease and “first world” illnesses. Jamaica has a relatively strong healthcare system and has many hospitals and health clinics to provide care for its people. Beginning in the 1980’s, Jamaica saw an increase in the number of first-world, lifestyle diseases affecting its people. Illnesses like heart disease, stroke, diabetes and obesity are becoming more prevalent and are affecting a large majority of the population. These diseases are placing a strain on the healthcare system and the government is attempting to implement new strategies and educational programs to raise awareness and promote preventative techniques and healthy lifestyle changes. The crime rates in this country are very high and most years the number of murders across the country is into the thousands. The threat of violence from gangs is ongoing and is especially high in the urban city centers. The drug industry in Jamaica is very large and much of the crime related deaths and injuries stem from drug exportation issues. Although over recent year’s Jamaica seems to have stabilized its previously rising prevalence of HIV and AIDS, the number of people affected by this disease in this country is still relatively high. This disease affects 1.5% of the adult population. This respiratory disease is fairly common in Jamaica and is thought to infect 3 out of every 100,000 people.. This number is declining, which is a positive sign, and was previously affecting 6 out of every 100,000 people. Efforts around the world are being made to find a prevention and cure for this disease, in an attempt to eradicate it for good. 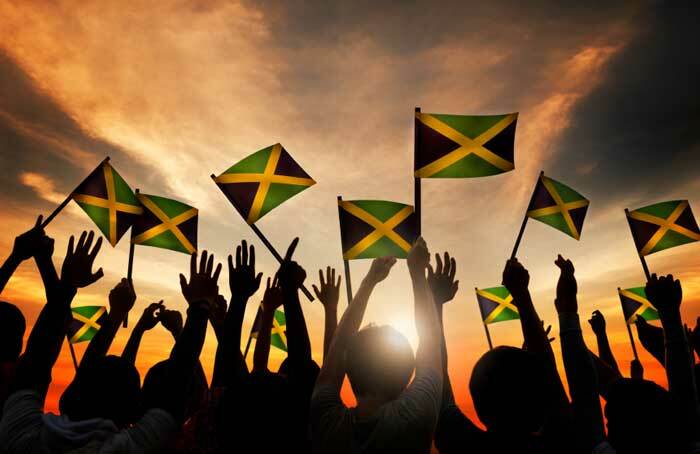 Today, LiveMD would like to celebrate with the wonderful people of Jamaica. To everyone in your beautiful country we would like to say “Happy Independence Day”! Our goal is to provide easily accessible, quality healthcare services to people from around the world who are in need of care. If you have questions about your health or are in need of advice, please visit our website today at www.mylivemd.com. 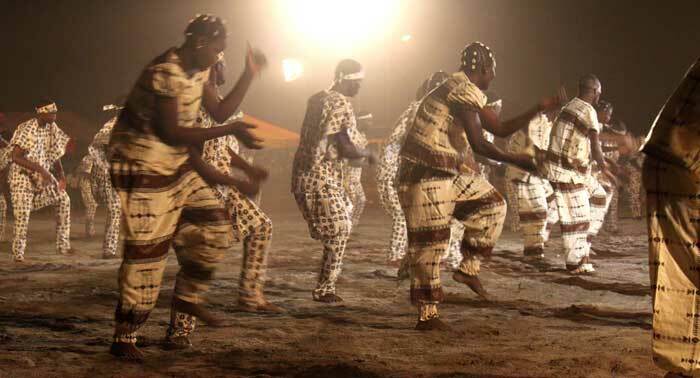 Today LiveMD would like to wish the people of Burkina Faso a very happy Independence Day. Located in western Africa, Burkina Faso is a French speaking, landlocked country with a population of 18.7 million people. In 1960 this country gained its independence from France and became its own nation. The people of Burkina Faso have undergone much unrest and are still facing many issues that affect their health and wellbeing. The average life expectancy for the inhabitants of Burkina Faso is only 57 years of age. This is partly due to the fact that there is a substandard health care system in place and a lack of strict vaccination procedures. There is also a lack of doctors available, with estimates being 1 doctor for every 2,000 people. There is also a shortage of nurses and midwives, resulting in poor overall care for most of the population. The government has made an attempt to increase vaccination rates and mobile health units travel the country in an effort to reduce contagious diseases and provide care for those in need. Burkina Faso also has one of the most modern hospitals in all of Africa, located in Ouagadougou where scientist are researching insect-borne diseases. The practice of female genital mutilation is extremely common in this country. Due to religious beliefs and traditional practices it is estimated that close to 73% of girls and women have had this procedure done. Risks of female genital mutilation include serious infection, complications during childbirth, and damage to the urethra. Also known as onchocerciasis, this disease is very common in Burkina Faso and is caused by a parasite that is spread to humans through the bite of black flies. These flies live and breed near fast running rivers and streams. River blindness can cause severe complications and even permanent blindness and has resulted in many entire villages abandoning their settlements in an attempt to avoid becoming infected. Many improvements have been made over recent years to improve the availability of clean water to the people of Burkina Faso. Urban areas have a very high level of clean water and good sanitation services however the rural areas of the country are still lacking. Unfortunately two-thirds of this country’s population live in these rural areas. Like many other African nations, Burkina Faso is plagued by Malaria. It is one of the top ten causes of death in the entire country and affects a large percentage of the population. On this day, LiveMD would like to say congratulations on 56 years of Independence to everyone in Burkina Faso! Take this day to celebrate how far you have come as a nation and look to the future to see what great things it will hold for you! If you are in need of healthcare and would like to speak with one of our doctors, please visit our website. We have trained professionals available on hand, right now to assist you with any health related problem that you may be experiencing. Visit www.mylivemd.com today.